The Beer Market in High Street, Dublin (near Christ Church Cathedral) will open next week. It will be the first pub of its kind in Ireland. It is almost unheard of for pubs not to stock the beers and stouts of the major brewing companies. It is clear that this particular pub is focusing on the growing interest in, and demand for, Craft Beers. As reported in The Irish Times, The Beer Market pub is owned by Galway Bay Brewery which has ten other pubs in Dublin and Galway. These other pubs also sell craft beers, but together with the beers and stouts of the giant brewing concerns. They obviously feel that the demand for craft beers has reached a level where they can open a pub selling only such beers. It is not the first controversial decision this business has taken. When it opened its Against the Grain pub in 2010, it was one of the first in Dublin not to sell Guinness. So they have some form in the pro-craft beer niche. Of course there are so many craft beers (in comparison to the number of leading brands) that it is impossible to have a branded tap in the bar for all of them. Bar counter space simply wouldn’t allow it. Instead, the plan is to use numbered taps, with craft beers being rotated. This will also encourage customers to come back again another day to sample more craft beer types. This is definitely good news for the small craft brewers. In business, the small player struggles in a marketplace dominated by the well-established corporations who have massive marketing and advertising budgets and a huge market share. I always shout “Hurray” when the small player gets a win. It’s classic David versus Golliath. 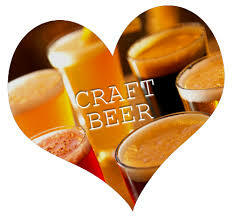 It offers a great channel to market, a market of craft beer drinkers. It will be very interesting to see if this focus will serve both as a means of market differentiation and attracting locals and visiting tourists interested in craft beers to their doors. Specialization is a way for any business to stand out in a busy marketplace. We wish them well.